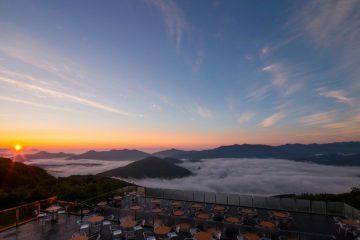 Highlights of August: the refreshing summer of Hokkaido! 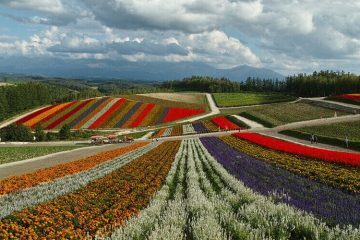 As you know, Hokkaido is a wonderful place where you can enjoy each of the four seasons in various ways. 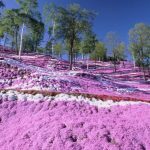 The island always excites its tourists with activities and events that take full advantage of the harsh winter, shibazakura cherry blossoms and stunning lavender fields blooming from spring to summer, and a vast sea of autumn leaves in autumn. Let’s see what awaits you in August, the month generally considered to be midsummer? 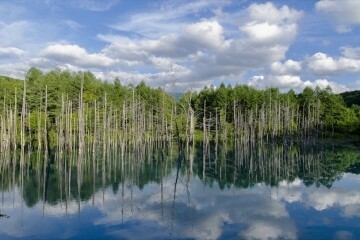 Here I will introduce the highlights and events of August in Hokkaido from ranging staple to specialized information. 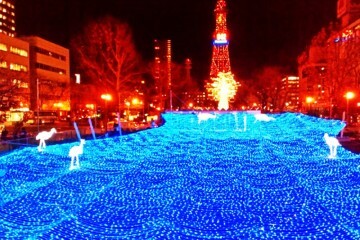 Let’s check out Hokkaido’s unique seasonal fun activities. 2.1 It’s summer! 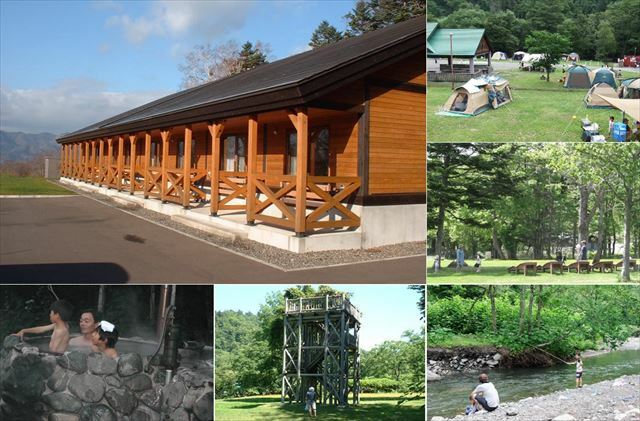 Let’s camp in the woods and have tons of fun at Domin-no-Mori ! Although I think many people might be a little surprised to see cosmos blooming in August, Hokkaido has a climate in which the forebodes of autumn’s arrival are felt sooner than in the rest of Japan. 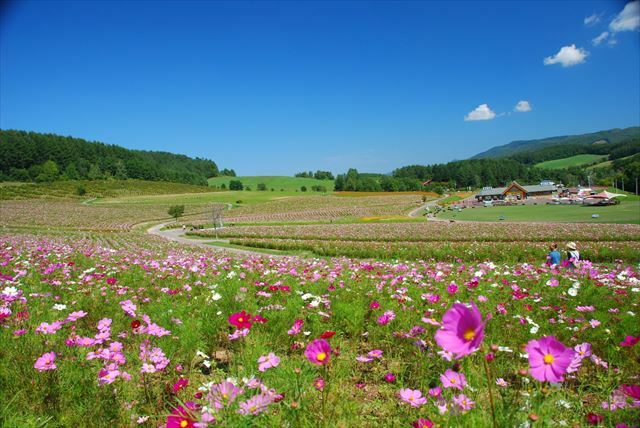 In August about 10 million flowers bloom on the vast 10 hectare cosmos field of Engaru Sun Hills Park. Even if just referred to as cosmos, there are actually many varieties of cosmos, such as the commonly seen pink cosmos bipinnatus, commonly called the garden cosmos or Mexican aster, and cosmos sulphureus, also known as sulfur cosmos or yellow cosmos. There are 16 varieties of cosmos in this park, including Chocolate Cosmos, which produces a faint fragrance of chocolate, and the quintessential large-flowered Versailles Pink. 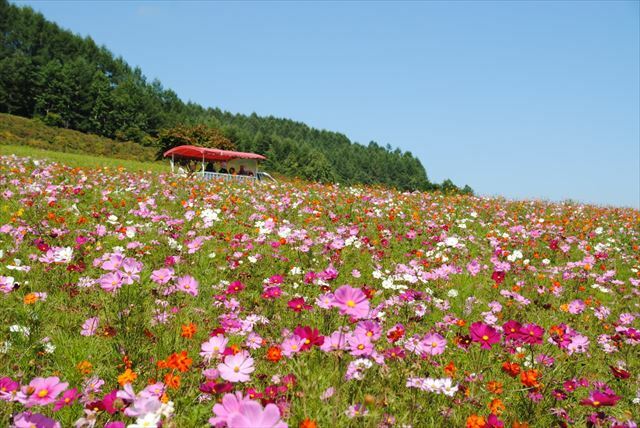 During the flowering season events such as Cosmos Flowering Declaration Fireworks Festival and Cosmos Festa are held as well! Also, there is an observation deck nearby at which you have a full 360 degree overview of the flowers, and if you climb towards the top of the Rainbow Fields at Engaru Sun Hills Park you will find Miharashi Farm at which you can play with the cows and overlook the whole town. During this period there are 3 sightseeing carts touring the park, allowing you to leisurely enjoy the approach of autumn. 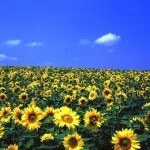 Developed over the course of 20 years, 1.5 million sunflowers now bloom in the town of Hokuryu. 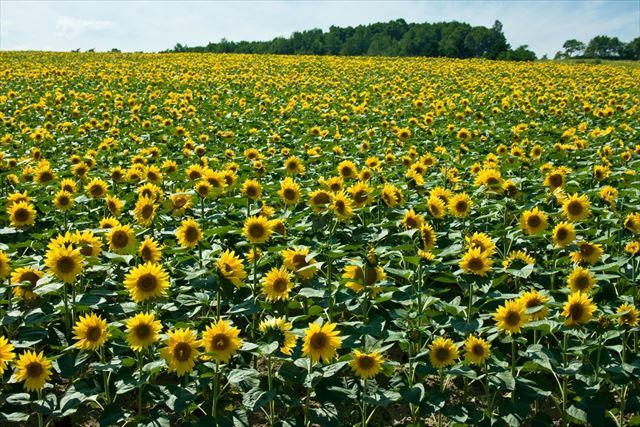 Varieties such as the Hybrid Sunflower, Spring Rinzo, Summer Rinzo and Flower Rinzo bloom as far as the eye can see. 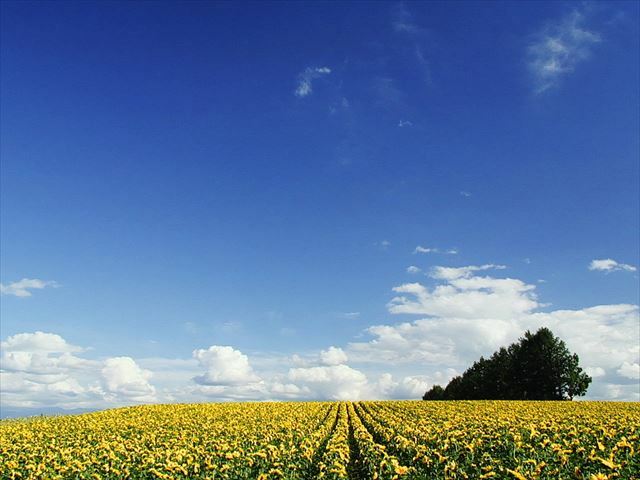 The sunflower fields carefully nurtured by the townspeople of Hokuryu have now been featured in a number of media, suddenly becoming a well known place for its stunning scenery. 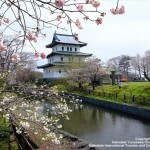 During the flowering season evens are held and it becomes very crowded, but the area is open 24 hours a day, so it might be a good idea to visit in the early morning or in the evening. Biei too is in full bloom. 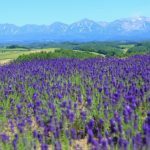 When the lavender season ends, Shikisai-no-Oka brightens up with the colors of mid-summer flowers. Gardening is applied to the hill itself as its beautiful carves look as if they are the result of a single elaborate drawing. In August, the hill comes alive with colorful plumed cockscomb Celosia argentea, sunflowers, dahlias, snapdragons and more. Plus, from the end of the month, cosmos being to bloom as well. Also, there is an alpaca farm where you can take a relaxing break. 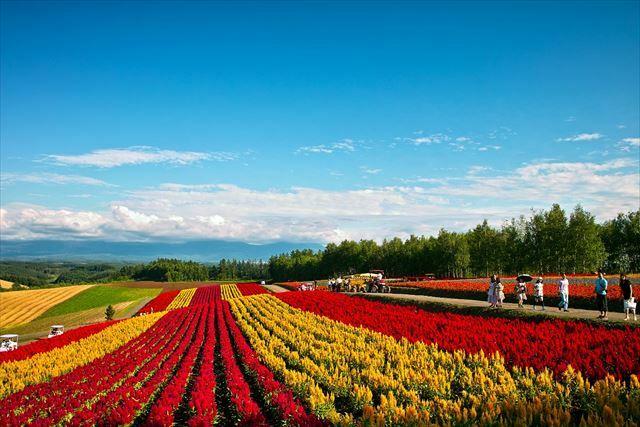 This is a well-known destination in Hokkaido at which you can enjoy many different flowers depending on the season. It’s summer! 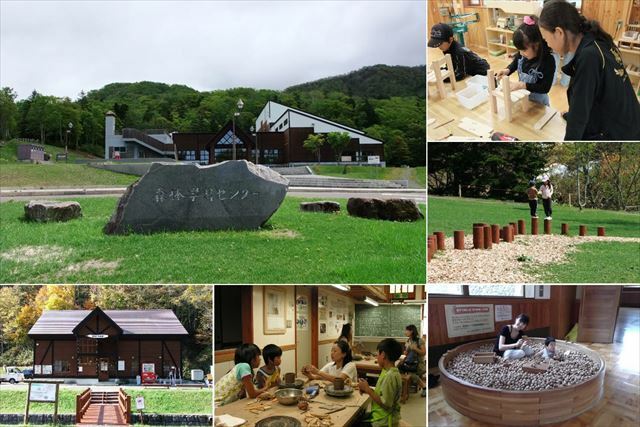 Let’s camp in the woods and have tons of fun at Domin-no-Mori! 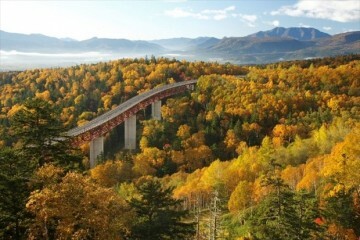 Domin-no-Mori, meaning “forest of the people of Hokkaido”, is a vast stretch of over 12,000 hectares of forest mainly composed of the districts Kamuishiri, Bokujo-Minami, Aoyama-Chuo, Ichibangawa, and Tsukigata. Here you can enjoy activities that are normally hard to come by in such a natural wildlife setting, such as camping, playing in the river, and trying ceramics and woodworking. Some especially recommended activities are a nature watching event where you can encounter various wildlife, a mountain climbing trip, and Nordic walking. 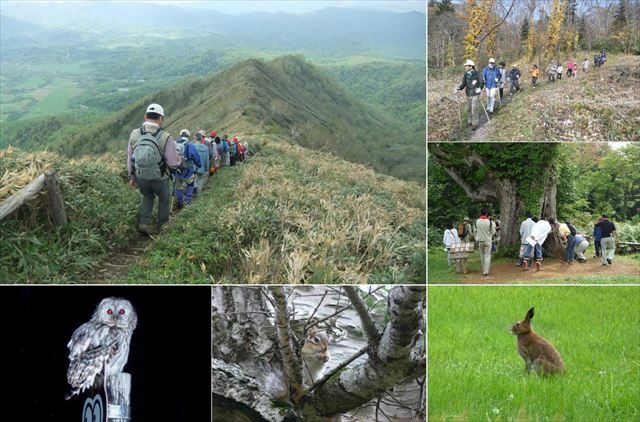 Courses range from a gentle 30 minute beginner course, to more full-fledged mountain climbing course in which, if sufficient preparations are made, mountains such as Mt Kamuishiri, Pinneshiri, and Mt Kumaneshiri can be climbed. Indoors too, you’ll find all the ingredients for young and old to enjoy themselves in ample supply at the the Forest Learning Center where you try your hand at such things as creating ceramics and woodcrafts. For small children there is a tree-lined sand pit and a large grass field where they can play to their heart’s content! If you buy a lunch box you might end up spending all day there. Domin-no-mori also provides lodgings. You can choose between a survivalist tent for you to set up in the wilderness, getting a bungalow, or renting a cottage with a full range of amenities. Also, in the Ichibangawa area there is a nostalgic Goemon Bath where you can do everything yourself including wood-chopping and putting in the water. Bring your family or friends, and have a blast together!